We charge by the hour. There is a 1 hour minimum charge, with no travel time charged in the immediate Triad Area. Quotes can be given to locate specific areas if requested. Can you locate plastic water lines? 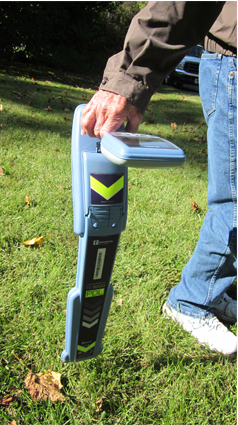 Yes, normally we can locate plastic water lines with our ground-penetrating radar, depending on the depth of the line and the type of soil as limiting factors. When do I need to hire a private locator? The public utility companies mark their utilities serving your home or business free of charge through the NC 811 system. Just dial 811 to request this service. However, the public utilities will not mark their pipes or cables past the meter point or interface at your home. Examples of these are water lines between the meter and the building, electrical lines from the home to other structures on your property, and well lines or septic systems.